JANDEL ENGINEERING LTD. manufactures a high / low temperature four-point probe constructed of Macor Glass-Ceramic with ceramic fiber leads. This probe is suitable for use at cryogenic temperatures (submerged in liquid nitrogen) or in a high temperature environmental chamber at temperatures up to 300 degrees centigrade. 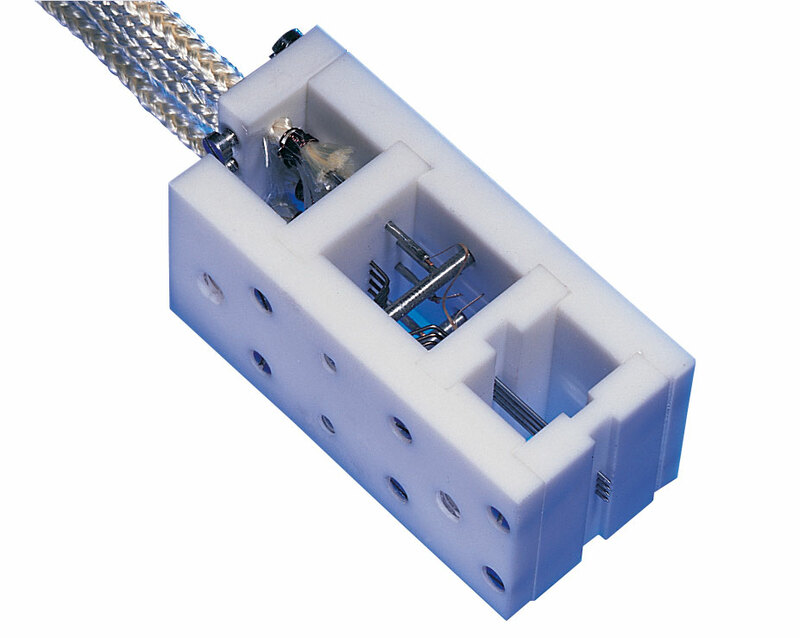 Probe head dimensions are 0.8″ x 0.8″ x 1.9″.